So before those painful repressed childhood memories rise up and tempt you to punch me in the face, here are the 7 secrets that made it possible for me and how you can do it too! By the way, if you’re already applying more than what my mom did, be encouraged that your children’s Mandarin will more than likely be even better than mine! I immigrated from Taiwan to America at the age of eight to the suburbs of Chicago knowing two words of heavily accented English. By then, I had already finished the first semester of second grade and was able to read zhuyin (bopome) and a good amount of Chinese characters. My mom was an elementary school teacher and then later on a school counselor at a junior high in Taipei before we immigrated. She used her experience as a teacher to teach both my sister and I. With my cousin, grandfather and great grand mother before we immigrated. What Level am I At Now? After talking with a few people I trust, here is an honest evaluation of where I’m at currently with my Chinese. I actually struggle with insecurity in this area and hope you know I’m not here to toot my own horn. I can communicate my thoughts to a native speaker and function in Taiwan (run errands, set up our cell phones etc.). We did move to Taiwan for three years just a couple of years ago and I was able to shop at the traditional market and do life there just fine. I do have a slight accent when I speak and native speakers will ask where I’m from. I can comprehend 90% of a news report or a Taiwanese YouTuber. By the way this is my current favorite Taiwanese YouTuber I put on in the background while I do chores to keep up with my Chinese. I can read a Chinese newspaper article and understand it but it will take me longer to read than a native speaker. I have to admit, writing is my weakest area. When I do write, I tend to use English grammar instead of Chinese. With that said, I can write a comprehensible email or message to a native speaker. Honestly, I have yet to come across the need to improve my Chinese composition abilities. I don’t need to write an essay or a report in Chinese. Writing an email or a card is the extend of writing I’ve had to do so far. I’m pretty content with my current Chinese writing abilities, however limited. My dominate language is still English due to the fact that I’ve lived here most of my life. Unless I stay in Taiwan for an extended time, I think, dream and speak much more comfortably in English. After immigrating, unlike other Chinese parents at the time, my mom did not come to America for grad school. Her English wasn’t super strong so we ended up speaking Mandarin at home. I didn’t try to speak English at home simply because I knew she wouldn’t fully understand what I was saying to her. Even after transitioning into regular English class after two years of ESL (English as Second Language) classes, I did not try to speak English at home. It was just understood that we speak Mandarin at home and English outside of our home. I did speak English with my sister though so it’s not all hopeless if your kids speak English to each other. Since I didn’t have friends I was really close to, or relatives nearby, my mom was the person I was closest to. I wanted to be able to let her know what was going on in my life so that helped me keep up with my speaking. I know many of you are worried about the fact that you don’t have a native speaker at home like I did. Perhaps others of you are worried that your Chinese speaking abilities are not up to par. Parents like Adam Beck (Bilingual Monkeys) and Oliver Tu who have been successfully raising their children bilingual the past ten plus years observed that spending 3.5-4 hours dedicated to the minority language (active and passive learning) per day is sufficient. My friend Betty is raising her kids trilingual despite not being fluent herself. Here are a few ways you can create a Chinese rich environment at home even if you’re not a native speaker. Chinese children’s music (more details below): I also play Chinese children’s music and nursery rhymes in the background most of the time when my daughter’s playing and crafting. I also put them on for my student when she comes over and we’re not doing an activity that involves speaking Chinese. I notice her automatically learning Chinese words by hearing the same albums playing during our lessons. She now can sing a few of them without me teaching them to her. Music is THAT effective! Since our family is Christian, most of the time I play Chinese children’s worship music in the background and in the car (here’s a link to the top Chinese children worship albums). Limit screen time to Chinese: Most of the time when my daughter gets to watch a show, she needs to choose one that’s in Chinese. This is a wonderful tool but also one that needs to be implemented along with other even more effective ones. Human interaction is ultimately still the best and most natural way to learn a language and the most recommended (see TEDx video by Dr. Dimitri Christakis for more information on Media’s impact on children). We mainly watch DVDs from Taiwan or via Netflix. tutor other kids so your child has a Chinese language companion. 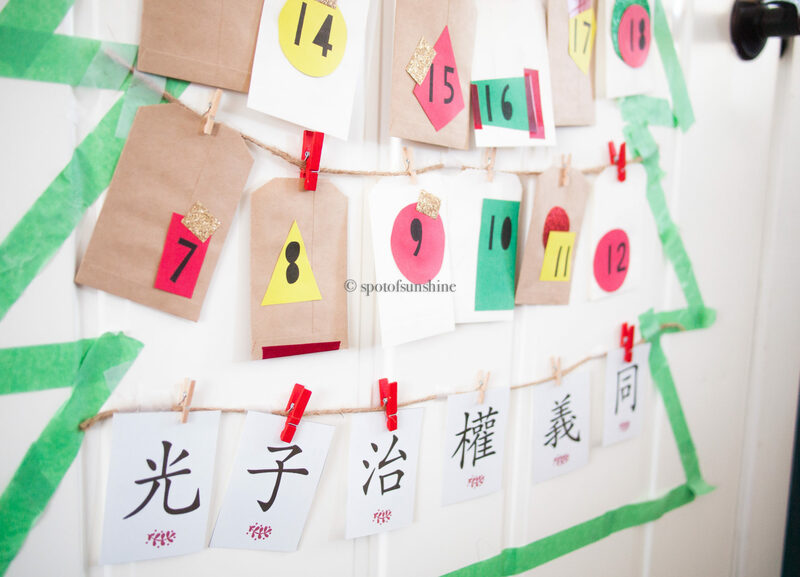 I started doing this and it really helped both kids practice and improve their Chinese. Growing up we didn’t have a room full of Chinese books. My mom did ship over our entire 漢生 collection to America. My parents ordered these when they were first published in the late 80’s. I remember listening to Chinese books on tape in the little reading nook I made in my closet. Digging into those books with the Chinese I’ve already learned through first and second grade in Taiwan brought back good memories of living in Taiwan and also of my relatives there. It was my little escape at the time from all the unfamiliar things in the new country. books my mom brought from Taiwan for my daughter. She purchased all of these from online second hand bookstores. See below for details on these stores. Having these reading materials in the beginning really helped me continue to grow in my Chinese. Later on, when we did eventually visit Taiwan in the summer, my mom graciously bought me the whole Sailor Moon comic book collection, along with other comics we found at the second hand bookstores in Taipei. She also let me buy a load of Japanese soap opera VCDs (remember those?). Since comic books and Japanese soap operas didn’t have zhuyin to help me cheat, I really had to learn to read the Chinese characters, most of the time through context. Audio Books like this one I can play for myself and read along. Sometimes they’re available at Gloria’s Online Chinese Children’s bookstore or at Mr & Mrs Books. My mom was able to find many of these at used bookstores in Taiwan for my daughter. She gave most of our books away when she moved back to Taiwan. Definitely build a Chinese library for your kids but don’t take on the pressure of owning every Chinese storybook out there. If you can, that’s awesome! Your kids probably will have a lot more books to choose from to discover what they enjoy reading. But, there probably will also be lots of books they won’t be interested in or get to. So if you don’t have every Chinese children’s book ever published, don’t stress or fall into the FOMO pit. The Chinese books we owned maybe filled half a bookshelf and I was able to retain my Chinese and still able to read to this day! I know with social media nowadays, there’s so much pressure on us parents to own the latest thing. I often struggle myself with feeling like if I don’t buy that new thing, I’m robbing my daughter of a brighter future. But I have to continually remind myself that what’s most important is being here for her and building a strong relationship. That is worth more than anything I can buy for her. Also, nowadays with more and more Chinese children’s books available in public libraries and apps like HyRead (where you can borrow books from Taiwan’s library system through your tablet), access to free books is also broadening. Guavarama has a wonderful post on how to borrow books from Taiwan’s library through the HyRead app. Full Disclosure: I didn’t reading everyday. My mom didn’t require that of me. I read more when we first moved to America. Later on, in high school I would watch Japanese Dramas and read comic books. But that wasn’t an everyday occurrence either. I love music. I used to sit next to my stereo and tape the songs I liked when they came on the radio. So during my trips back to Taiwan, my mom would let me stock up on CDs, and man did I buy a lot. These also served as capsules of good memories with my relatives back in Taiwan. 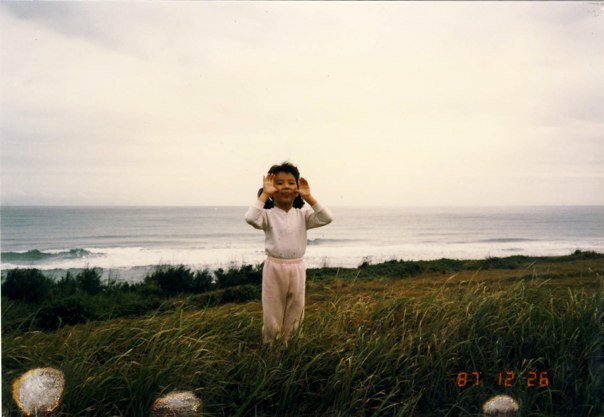 When I would listen to them (伍佰，徐若瑄，張惠妹，周杰倫 etc), they brought me back to the wonderful summers spent there. My mom also conducted a Chinese children’s choir when I was young. Being a part of the choir exposed me to Chinese lyrics I had to learn and commit to memory for performances. Music and learning lyrics to songs is a fun and easy way to learn new vocabulary words and work on pronunciation. With platforms like YouTube, Spotify and Google Music (just to name a few), you don’t have to fly back to Asia to purchase physical copies anymore. Music is such a wonderful, fun and easy way for kids to pick up a language. My student (6YO) who was only able to speak and understand only a few words of Chinese when she first started lessons with me would suddenly start singing the songs after hearing it playing in the background. A fun way to learn Chinese through songs is doing exercises or learning dance moves. For Christian parents, here’s a link to the top Chinese Christian kids albums I put together (Cantonese & Mandarin). Here are some Chinesesongs with free printable lyrics. I most likely dreaded these back then and cried lots of tears but I participated in many speech and literacy competitions when I was in elementary school. Memorizing Chinese speech scripts my mom wrote and working on really annunciating my words helped ingrain those characters into my mind. I try to make learning Chinese more fun for my daughter and less rote memorization. Read more about about how we practice Chinese literacy with this snow activity. But it really was participating in the Chinese literacy competitions (識字比賽/shìzì bǐsài) at our local Chinese school that helped me grow tremendously in my literacy. In preparation for the competitions, I had to memorize hundreds of characters. I also had to come up with three or more phrases to demonstrate to the judges my comprehension of each of the characters. I won many speech and literacy competitions which means I wasn’t very popular amongst the ABCs I was competing against. But due to the fact that I was born in Taiwan, I wasn’t allowed to represent my Chinese school in the statewide competitions. reviewing characters we’ve learned through Sagebooks with this fun activity. Click here to read more. We didn’t have Sagebooks, Ainki or Quizlet to help with spaced repetition when I prepared. My mom made simple flashcards that I went through. Later on, after the competitions, comic books and Japanese Dramas served as my main method of review. These weren’t consistent either. I would just watch the dramas or read comic books when I wanted to. My mom wasn’t a tiger mom outside of those competitions. But man did she crack the whip when we were preparing. With the plethora of apps and resources available and being added yearly, I would encourage you to focus on not feeling like you need to pressure your child or stress yourself out to do hours of Mandarin every day. Yes, encourage them to practice and review but also give them time to choose reading materials and do things they enjoy in Chinese or just simply let them be kids. Let them practice the language through mediums you enjoy as well! Don’t kill yourself trying to do crafts if that’s not something you enjoy or where your draw life from. Do not feel like these seemingly more “laid back ways” of practicing Chinese is not legit. I did not participate in any competitions after fifth grade. I mainly read comic books, watched Japanese dramas here and there and visited Taiwan in the summer. When we did spend the summer in Taiwan, I never did any language camps. I simply enjoyed my time with my cousins and relatives. Finding activities and ways to help not only your kids but your entire family enjoy language learning will help you all be able to do it for the long run. This is something that everyone recognizes as a huge advantage and a wonderful way to accelerate a child’s language. You can create a Chinese learning environment at home but nothing beats the real deal, a trip to the Motherland. During our stays in Taiwan, which took place about once every two years, we would be there for the entire summer. I didn’t attend any language school. I mostly window shopped and bought way too many Sanrio stationary items that I never dare use. I spent my days hanging out with relatives, swimming in the ocean, stuffing my face and just had fun and being a kid. The only class I did take were the hip hop classes at Dance Soul. Needless to say, it wasn’t a language course. Later on in life, when Christ’s love came and saved me, I started going on missions trips with my youth group for two to three weeks. I served as the pastor’s translator (and basically everyone’s translator), led worship and shared messages in Mandarin. That experience along with attending a Chinese church in America helped me learn many Christian terms in Mandarin. I believe summer language courses in Asia will definitely help catapult your child’s language abilities. But don’t forget to let them have fun and enjoy the country and the culture. Enjoying their time overseas with relatives and experiencing the culture matter just as much as the language courses. I believe it was spending time with relatives, strengthening those relationships and meeting new people by using my Chinese that helped me take ownership and value being bilingual. This leads me to my next point…. Strengthening relationships with native speakers and meeting new people by using my Mandarin really helped me see the importance of continually growing in it. Relationships was my main motivator. Similar to many immigrants, I struggled with finding a sense of belonging and identity. To the ABCs I was really FOBby (fresh off the boat). To the FOBs and to my relatives in Taiwan, I was really ABC. Chinese became a tool I used to helped me gain a sense of belonging with my family and friends there. Also, during our missions trips to Taiwan, my ABC teammates struggled to connect with the locals with their limited Mandarin. Although the connections were still made through body language and broken English and Mandarin, nothing compares to connecting with others through their native tongue. One can reach a deeper part of people’s hearts when you put forth the effort of speaking their mother tongue. Through keeping up with my Chinese, I have made life long friends that I still meet up with in Taiwan whenever I go back. Being able to talk to my relatives in their native tongue also helped lessen the distance and years of living in a different country and slightly shorten the culture divide. Although I am very Americanized culturally, I was able to still relate to them due to the common language we shared. For my ABC cousins who were not as fluent, I felt like they had a more difficult time trying to communicate with relatives. Although most of my cousins in Taiwan studied English, they ultimately are more comfortable speaking and joking around in Mandarin. I would encourage you to help your children build relationships with relatives that speak Chinese. The ultimate purpose of a language is to help us connect with others, to build and strengthen relationships. In the technological and social media bombarded culture we live in today, people are struggling with loneliness and need real face to face connections. 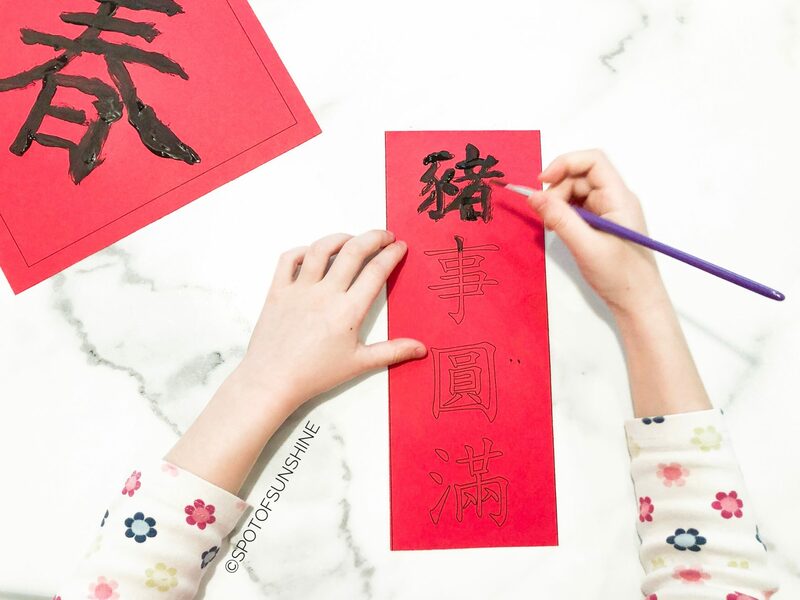 Not only will building relationships with relatives and meeting new people by using Chinese help your child improve their own, it will give opportunities to take ownership of their language learning and help them see the value of it. How you can practically do this is connecting with overseas relatives through APPs like FaceTime or Skype. You can also be intentional in setting apart time during the overseas trips to meet up with relatives and do something fun together. You can also consider hosting a foreign exchange student from a Chinese speaking country. There are many opportunities to “adopt” a student through various college campus organizations. Check with your local high schools and universities in town. Get your kids involved in local Chinese communities that host events where kids can interact with native speakers and potentially make new friends with the Mandarin they know. A great way to find these organizations is through FaceBook and Chinese newspapers available at the Asian grocery store. My love of Taiwanese culture instilled in me a desire to embrace the language. Language cannot be separate from the culture, it is a part of. Therefore helping young language learners connect and enjoy the culture is an important part of language learning. The food, celebrating Chinese holidays in America (click here for some fun ideas), visiting relatives overseas, learning traditional dance at Chinese school all set me up to make Chinese a part of who I am not just something I’m learning. Getting ready to do a traditional Chinese dance performance. I took classes at my Chinese school on Sundays. I have yet to meet one ABC who is not obsessed with and proud of Chinese food. Food is so central to Chinese culture. It’s what brings families together. I have fond memories of my mom making 包子 (steamed buns/bāozi)，月餅 (moon cakes/yuèbǐng)，油飯 (sticky rice/yóu fàn)，粽子(zòngzi) (just to name a few) during special occasions. My love of Chinese food definitely helped deepen my appreciation of the language especially when I can order what I’m craving from the street vendor all by myself. Interacting with other Chinese families, learning traditional Chinese dances, dramas like 流星花園 (Meteor Garden/Liúxīng huāyuán) definitely helped, but I think food helped me love the language the most. 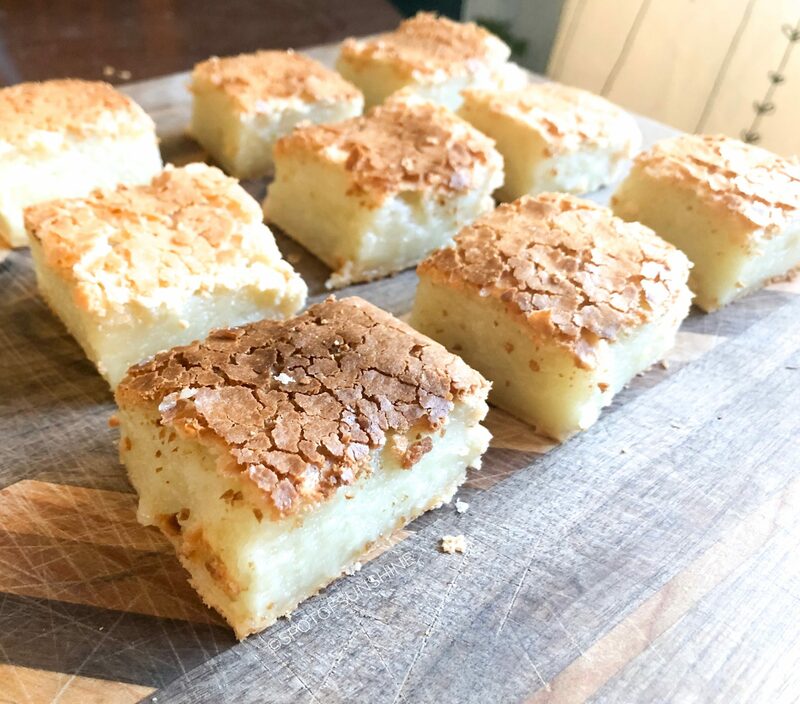 Cook some Chinese food together or go out for some authentic Chinese (Here’s my super easy & yummy recipe for Coconut Rice Cake, be sure to check out my favorite Chinese recipe blog The Wok of Life)! Take trips to Chinatown’s bakeries, stuff your face with some awesome dimsum or grab some bubble tea (I love Kong Fu Tea and ChaTime) to deepen your child’s love of Chinese. When overseas, take time to visit the night markets and try various local foods even if you don’t end up liking them. Look for local schools that teach Chinese traditional dance, Kong Fu or a Chinese instrument. Participate in the Chinese holiday celebrations in your town or the nearest large city. Look up the Chinese or Taiwanese associations on Facebook to see what events they’re putting on. Have your kids invite their friends over to enjoy some Chinese food and culture too. Give them the opportunity to share the culture with their friends as well. I hope this post not only helps you have a better idea of how you can raise your child bilingual but also leaves you feeling hopeful and empowered. I wasn’t reading or writing Mandarin daily. I wasn’t practicing flash cards during my down time. 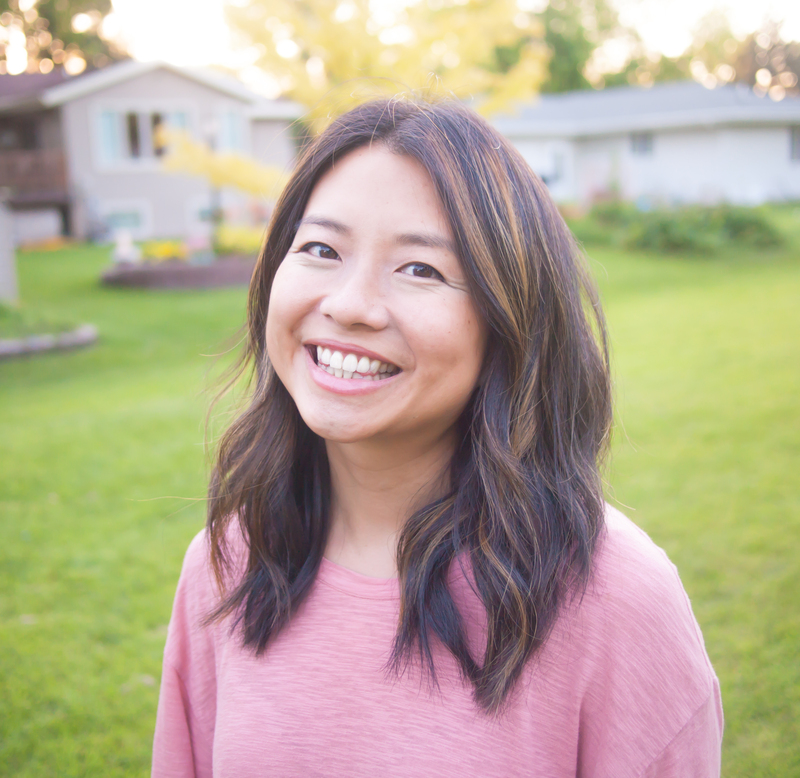 My mom simply pushed me at times, stocked our home with resources I was interested in, shared Chinese culture with me and helped keep the connection with my relatives ongoing. I know how daunting raising a bilingual child can be. But I hope this goal does not rob you of the short time we have to enjoy the precious short years we have our children at home. Having fun together as a family and helping our children enjoy the language learning process is just as important, perhaps even more-so, than setting them up for bilingual success. We may not know what the future holds, but cultivating a good relationship with our children should take precedent over any language learning in my humble opinion. I wish you many blessings in this language learning marathon! You’re not alone and you can do it! Please share questions you have below and I’ll try my best to answer them. More Resources to Set You and Your Child Up for Success! Thank you so much for sharing your experience, Sunny! This was so inspiring to read, and it gives its ABC great hope! I have been feeling major FOMO for not sending my kids to Immersion camps, especially since my son has allergies and I don’t feel comfortable letting him be at school alone. Next summer, I was looking at Immersion programs for my daughter, but our time with family will be relatively short. So your timely post is helping relieve the stress about summer school when we can just enjoy the time with our relatives. Thank you for this! Aw thanks so much Betty! Always appreciate your feedback. Thanks for the idea to write this in the first place! Your blog has inspired me so so much. Glad I was able to give back!! This is such an informative and heartfelt post! Your Chinese definitely is not only not bad, must be a certain standard if you can go for state competitions! Good reminder on the goal of learning Chinese is to connect with people. Thanks for your sunshine sharing!